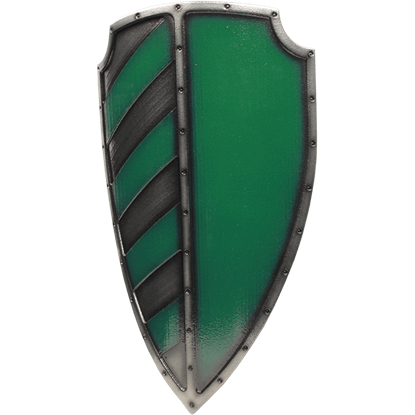 The Green Imperial Commander LARP Shield is perfect for those who are looking to impress both their friends and foes at their next roleplay event. 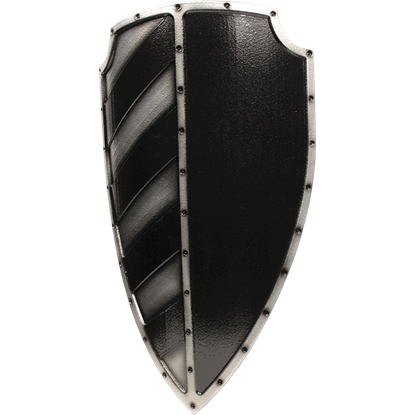 This shield is made from shred resistant polyethylene foam and features many details. 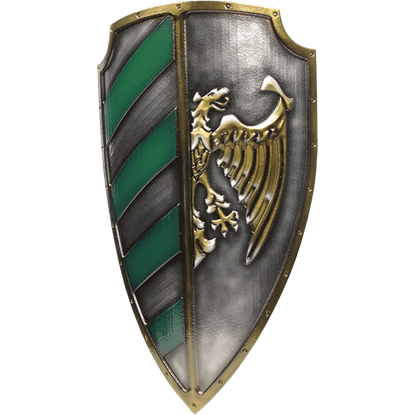 Let your opponents know that you mean business when you are carrying the Green Imperial Major LARP Shield. 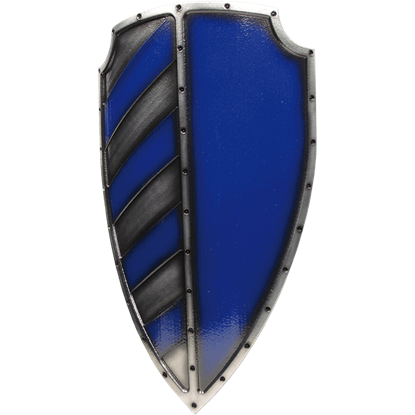 This heater-shaped LARP shield is constructed from shred resistant polyethylene foam, with a latex coating and gloss finish. Going into battle with the right protection is something that all great warriors do to achieve victory. 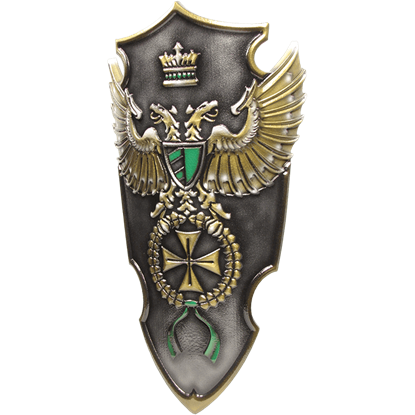 You will find yourself well equipped when you carry the Green Imperial Sergeant LARP Shield into your next re-enactment or battle. 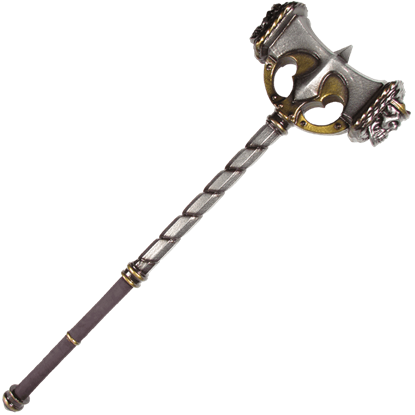 A sword can be the most valuable piece of equipment for a brave knight who is charging into battle. 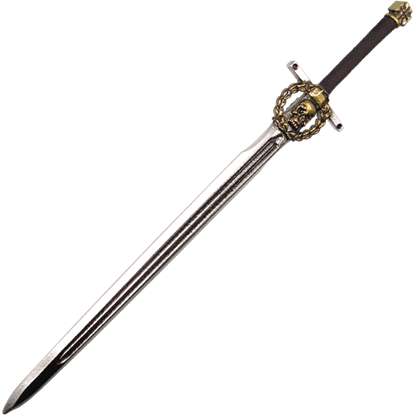 The Imperial Commander LARP Long Sword is an intimidating weapon, sure to leave your enemies struck with fear at the sight of it. 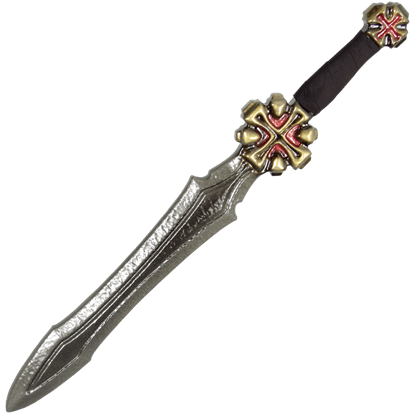 With iconic medieval cross details inspired by the emblems of the Crusade, the Imperial LARP Long Dagger is a must-have weapon for any holy knight. 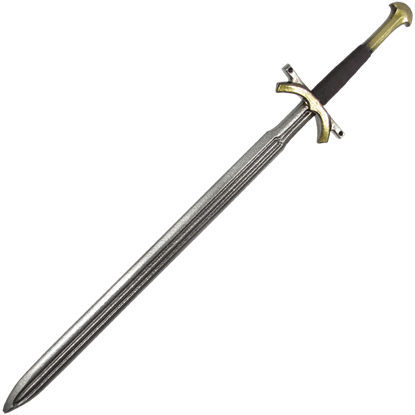 With its exceptional length, this LARP knife is ideal for close combat intimidation. 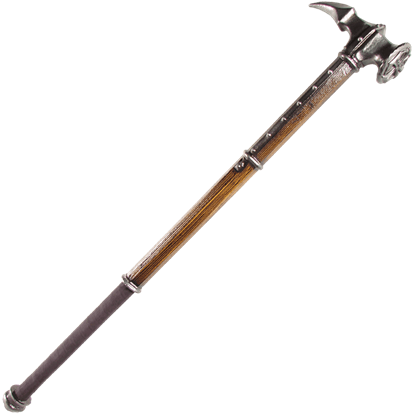 No medieval knight is truly armed without a trusty sword. The Imperial LARP Long Sword is expertly crafted and realistically colored for an authentic, medieval-inspired look any knight would be proud to wield at a LARP event.